You don’t have to wait until you’re old and tired to become your own boss. You too can become an entrepreneur if you put your mind to it and plan well in advance. As you do this, it’s good to know the pros and cons of the journey you are about to take. The best thing about starting your own enterprise is that your earnings are not limited to a specific figure. Once you close a deal, all the benefits are yours to reap unlike your regular job where you would bill millions of dollars for the company only to get your usual meager salary at the end of the month. When you start your own gig, your earnings are determined by the amount of effort you put in and many people might see this as a bad thing but in real sense, it is advantageous to you. You see, the thought of having no sure salary at the end of the month motivates one to work harder. The harder you work, the richer you become. When you are your own boss, you can do a job the way you want without worrying about office politics. This will enable your creativity to bloom and you will never suffer from boredom as is the norm while working for big companies. You also have the power to choose the clients and the jobs to work on. Self-employment helps you live life like a boss. One can choose to work hard for a whole week continuously and play golf or any other recreational activity the next one. This is why rich people live longer as they get enough time to relieve stress. A business enterprise is like a wine bottle. The older it gets the better it gets. New challenges along the way improve your skills and make you a better business person. Fewer blunders will occur as you get more accustomed. With your own business, the risk of getting fired becomes a thing of the past and you can have peace of mind. Your thoughts will now be more focused on new business prospects as opposed to income loss. As opposed to your old job where you were assured of overtime pay, when venturing into self-employment, one is forced to put in more hours with little pay or no pay. One sometimes finds it hard to adjust to working alone after years of working as part of a great team. This loneliness coupled by a heavy work load can lead to increased stress levels. The first months will be the hardest as you experience payment delays and even some clients refusing to pay at all. 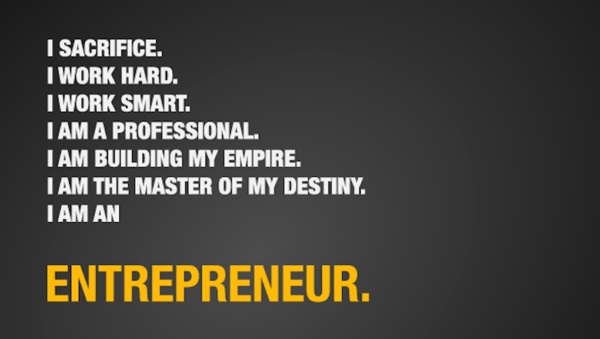 This can be very discouraging for an aspiring entrepreneur. As you can see, the pros outnumber the cons so there is no reason for one not to give self-employment a chance. The secret to being your own boss is hoping for the best, planning for the worst and never ever giving up.